BlockTanks.io | Play BlockTanks.io free on iogames.space! 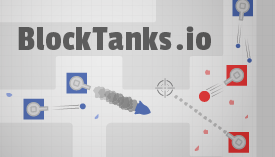 BlockTanks is a simple and explosive multiplayer tank game. Join other players in a fast-paced and destructive 2D, top-down deathmatch. Collect weapons and defeat the enemy team using strategy, cooperation, or good old-fashioned brute force. Jump right into the action as a guest, or sign up for an account to track stats, level up, and unlock sweet new items! To join a match, just click play - the game will automatically put you in a match. If you want to view all of the active matches, just go to the game lobby. Matches are relatively short (8 minutes) and have a variety of maps to cycle through (players vote on which map they want). Matches can be as small as 2v2 and as big as 16v16 - the number of players depends on the size of the map. There are two modes - team deathmatch and control point. In team deathmatch, players get points for their team by killing players from the enemy team. In control point, a team gets a point when it holds a spot on the map for a long enough time. In both modes, the team with the most points in the end wins. In BlockTanks, you don't have a health bar - if you get shot, you die and must respawn. This creates a high risk, high reward battleground where players must learn to dodge, take cover, hide, and find better weapons than the enemy. If you create an account on BlockTanks, you get a personalized experience and additional features! With an account, every game you play is saved, so you can see statistics like your universal K/D ratio. As you play more games, you level up and unlock items to decorate your tank with, such as decals and stickers. You can also connect your account to the official BlockTanks Discord server, where you can give feedback on the game, and participate in beta-testing. The goal of BlockTanks is to look and feel simple, yet have enough depth to be fun and engaging. For example, the clean and minimal graphics allow new players to easily understand what's going on and to quickly learn what to do. However, weapons, cosmetics, varied maps, and an XP system make BlockTanks difficult (but fun!) to master. - To move your tank, use WASD or the arrow keys. - Use the mouse to aim and shoot. - For some weapons, like the sniper, right click or press F to aim. - Use the scroll wheel or Q and E to switch weapons. - Hold down TAB to view the scoreboard. - Hold down SHIFT to view the help menu. - Regular bullets: You have an infinite amount of these. They bounce only once off walls. - Rapid bullet: Slightly faster than a regular bullet, but far more deadly. - Bomb: Big and bounces around the map for a while, killing enemies who let their guard down. - Volcano bomb: Similar to bombs, but only bounces three times and explodes on its final bounce. - Rocket: Fast projectile that immediately explodes when it hits a wall. Its explosion has a deadly blast radius. - Shotgun: Great for short-range combat and enemies around corners. - Sniper: Gives you a wider range of view, and allows you to shoot instantaneously across the map. - Grenade: Can be thrown around corners, allowing you to clear out narrow passageways and small rooms. - Flashbang: Temporarily blinds any players within its line-of-sight, including teammates and yourself. 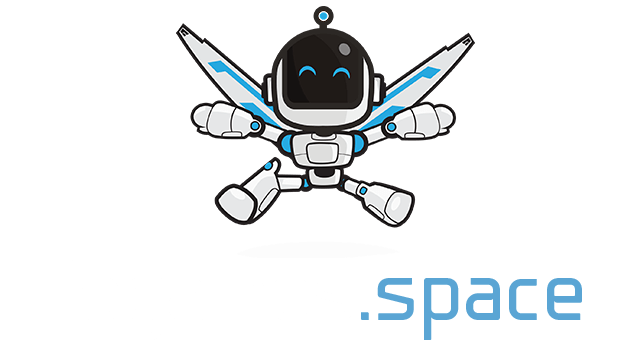 March 31, 2019 - Added a server in Europe. March 18, 2019 - Added new weapons! Enjoy snipers, shotguns, grenades, and volcano bombs. Video here: https://www.youtube.com/watch?v=_H20dGIamo0 - Various UI fixes to the scoreboard, weapons bar, and help menu. March 4, 2019 - Switched server hosting, which fixed a bug where the game would slow down after a while.